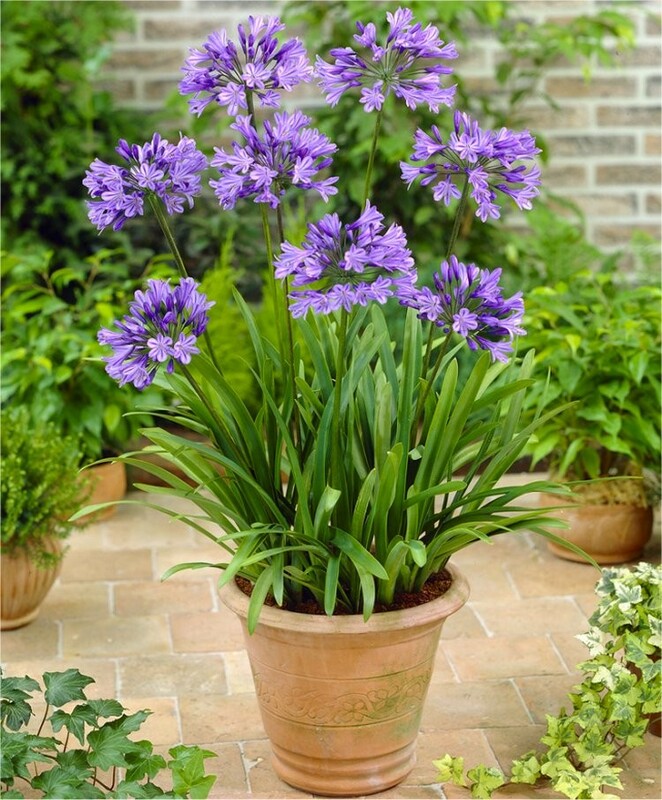 Agapanthus Charlotte is an excellent compact variety of the well loved Nile Lily. It's perfect for nearer the front of the border, or for planters on the patio, and will bloom prolifically from late June to October. 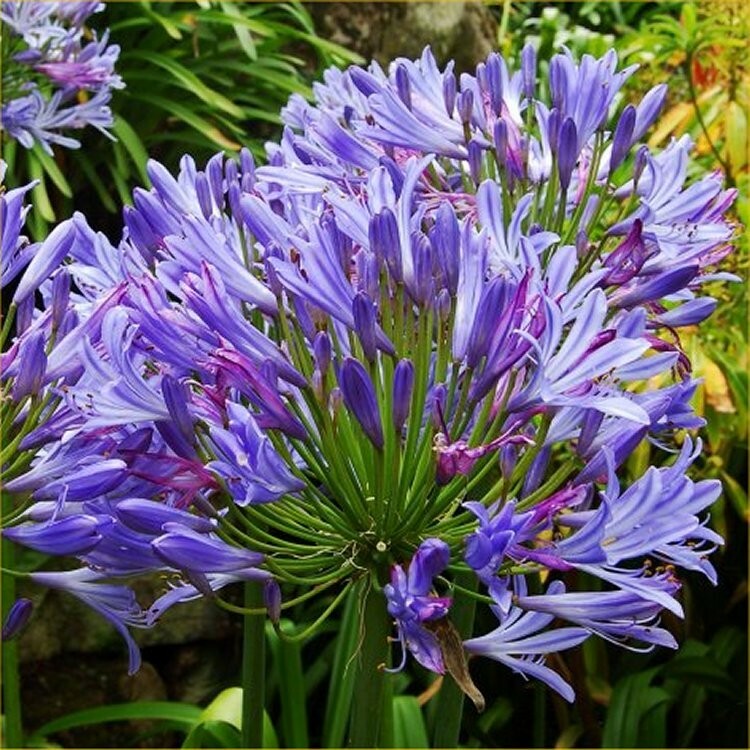 Agapanthus have lovely flowers, rounded globes that form of masses of individual blue star shaped blooms. 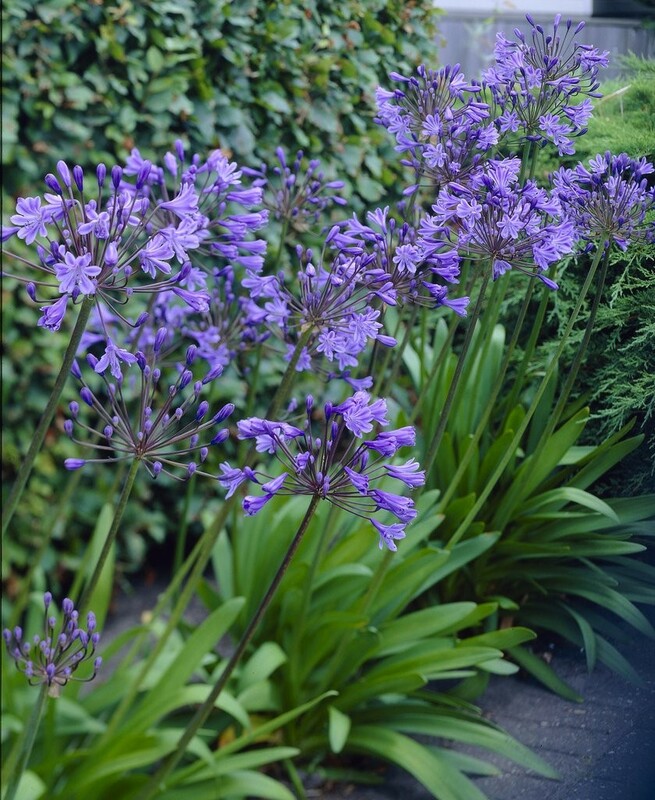 Commonly known as the Lily of the Nile, this Agapanthus is a reliable species that will thrive in a sunny border or container in well drained soil. Why not try beautiful blue, combined with pure white flowers in your garden for a cooling effect? Perhaps combine with hot colours like crocosmia and helenium to heat things up? Suitable for containers or borders, the flowers appear on stems above strap like foliage making this native of South Africa a must have. Once the blooms have faded, the seed heads, if left, make an attractive winter feature. 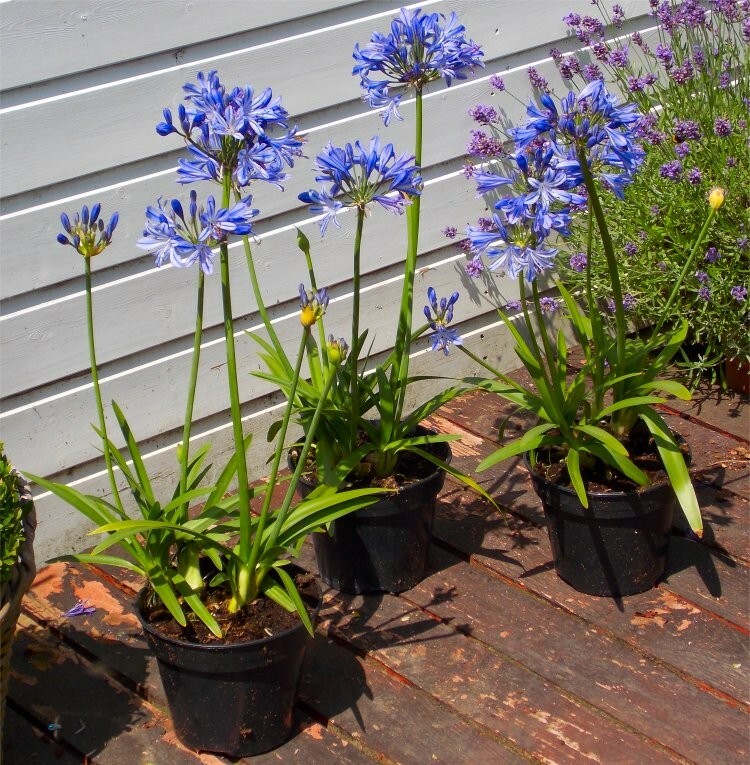 Agapanthus Charlotte is a hardy plant, and supplied as pictured in season in approx 2 litre containers.